The following list was assembled by a downtown dweller and based on eye-witness testimony as well as information gathered from Mercer Alumni. 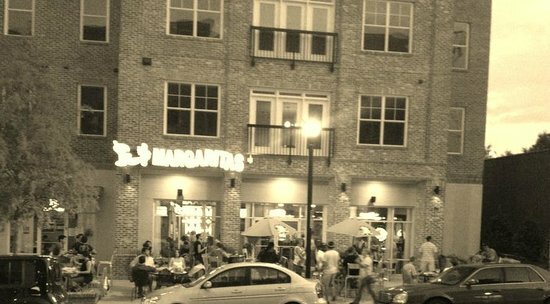 Located right in Mercer Village, just steps away from student housing, Margaritas is tailor-made to the college student. Step 1- It’s a Mexican restaurant, Step 2- Margaritas and an impressive beer selection. Step 3- Entertainment. “Margs” has TVs tuned to sports and the ever popular college student activity – Trivia. There aren’t many things a college student won’t do for the prospect of free beer. Right downtown, Taste & See has cultivated a library-esque environment conducive to long hours of studying. You choice of comfy chair or a table for a group make it an ideal meeting place for groups or independent study. Did we mention the continuous flow of caffeine available as well as goodies like blondies, cookies and sandwiches? They have everything you need to settle in for that last minute cram session and stumble out 10 hours later. 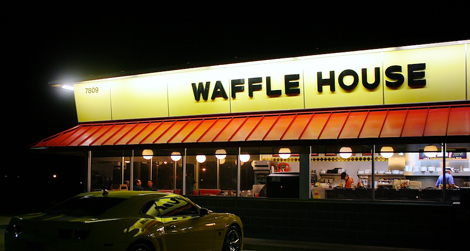 Almost every weekend for a college student incorporates a trip to Waffle House either the night of (or morning) or post 10:00 am to fight the hangover triggered by the night before. The WH located on Riverside is within walking distance of downtown and they also offer a 10% student discount. But Waffle House is more than a drunken destination, college students know that WH can be counted on for good food at a price friendly to college student’s budget. A relative new-comer to the Macon Bar Scene, Crazy Bull has quickly become the go-to watering hole for college-age kids for miles around. This massive space has so many bar areas that it’s a challenge to keep up with all of them sober- much less when there’s two of everything. Crazy Bull excels in delivering top notch live music performances that offer universal appeal. Of course, as the name conveys, there is a bull that every self-respecting country girl must take a ride on, all in all. It’s all a crazy-good time. Some things are tradition for a reason; El Sombrero has been a college student haunt since the successful Mexican restaurant first opened its doors. These days, multiple locations offer an “El Som” fix regardless of the end of town you find yourself on. Stiff drinks and fabulous guacamole are additional perks!